Immaculately cared for, this bright and spacious 2 bedroom, 2 bathroom + den SOUTHERN EXPOSURE corner suite is a must see. Beautiful water views from living room and bedrooms. Open plan kitchen with gas range and granite counters opening onto the large living room with a gas fireplace. The balcony is perfect for outdoor dining and BBQing. The two bedrooms are queen sized and offer lots of closet space. Includes 1 parking and 1 storage locker. 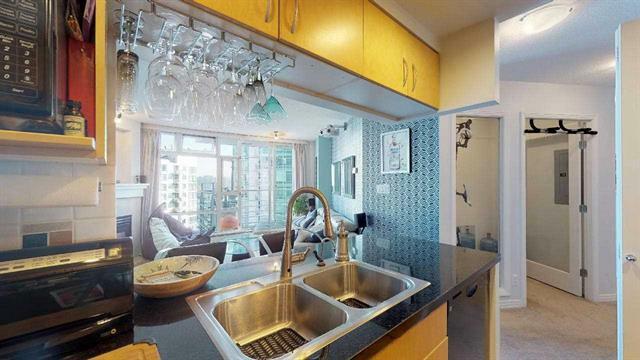 Located above Urban Fare and steps to the Seawall, this home is in the heart of Yaletown. Very well maintained building with a huge contingency fund. Aquarius 3 has a large indoor pool, sauna, hot tub, gym, concierge, party & movie room. Pets and Rentals allowed! Open house Sunday October 28 1-3pm.